Can I remove left padding on free text html boxes? 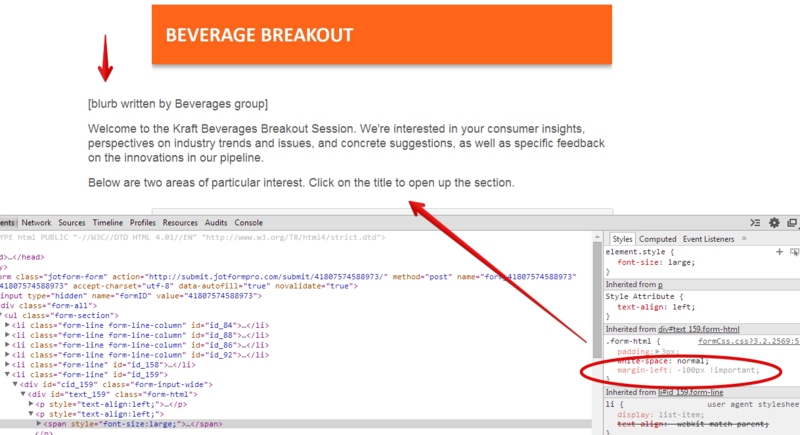 All my free text html boxes are a couple of spaces to the right, rather than flush left with the other fields. Also, in general I'd like to know how to adjust padding around HTML boxes. I've combed through the forums and can't find anything clear. I want to do this globally, rather than box by box. Hope this help. Please inform us if you need more assistance.